into Frosty’s vintage top hat! 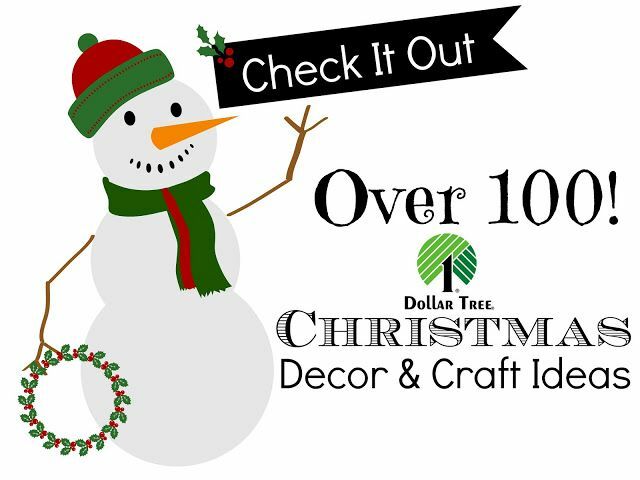 When I saw these ornaments at the Dollar Tree I thought they were cute, but I knew I wanted to put a Fox Hollow spin on them, with some fat ribbons and maybe a little vintage flair. 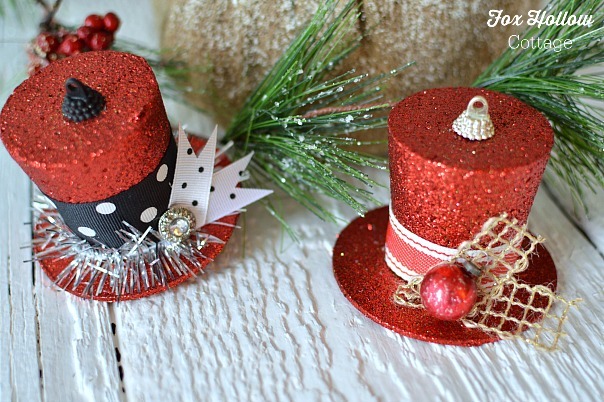 They totally remind me of Frosty’s top hat. Even though Frosty’s didn’t look like this. 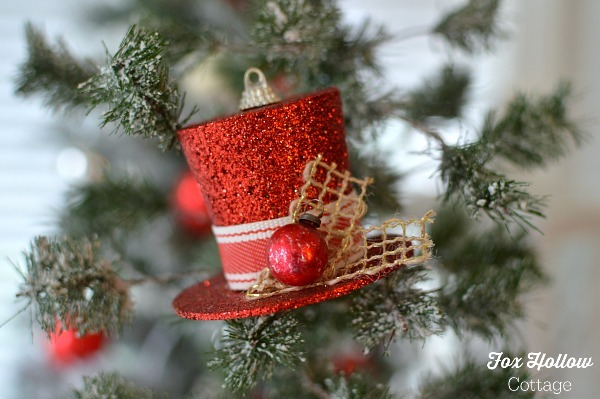 I guess it’s a top hat + Christmas that just gives me that nostalgic connection. 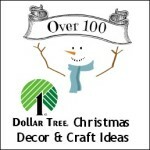 Anyhoo… ready for another round of “cheap&easy? 2. Remove the apple green sparkly bits. The hat is made of styrofoam, so apply firm, even pressure, and pull. A wee chunk will come out. No worries, your hat band will cover it! 3. Use ribbon, scrap fabric, craft paper, scrap book paper, etc.. to make a band. Wrap around and secure. I used a glue gun. A straight pin would probably work too in a pinch! 4. Add your embellishments. 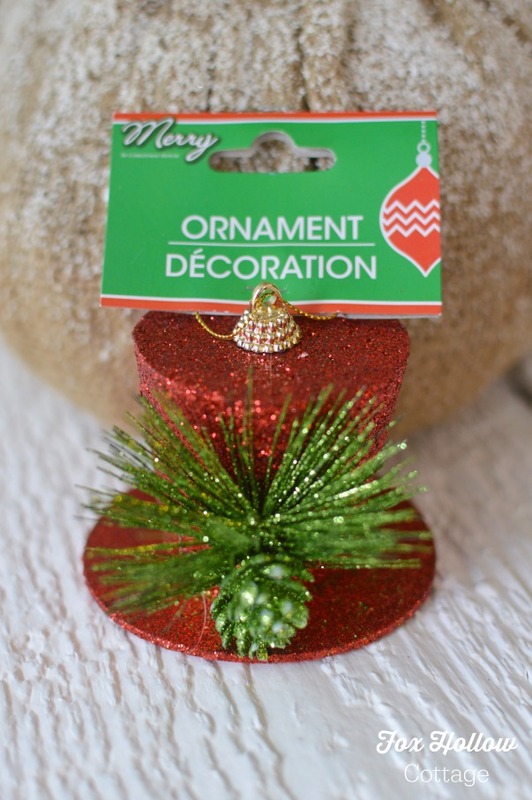 Ribbon, sprig of greenery, tinsel garland (from Dollar Tree, it’s sparse and perfect) flashy buttons, rhinestones, tiny ornaments, an old earring, a tiny snowflake, etc… a mini monogram would be adorable! Basically anything to scale, you want the visual weight to be balanced. 5. Lastly, the gold ornament hanger attachment was very “cheap plastic-y gold” so I chose to paint mine with a dab of craft paint. 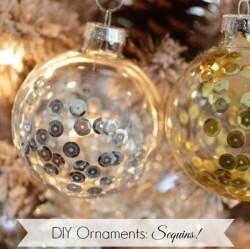 Black on the one with the polka dot ribbon and pale gold on the one with the little vintage ornament. It really completed the mini transformation. 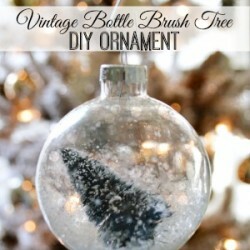 Don’t worry, it doesn’t have to be prefect, just bad with a little craft brush and call it good! You’re mainly just toning down the cheap-y gold look. 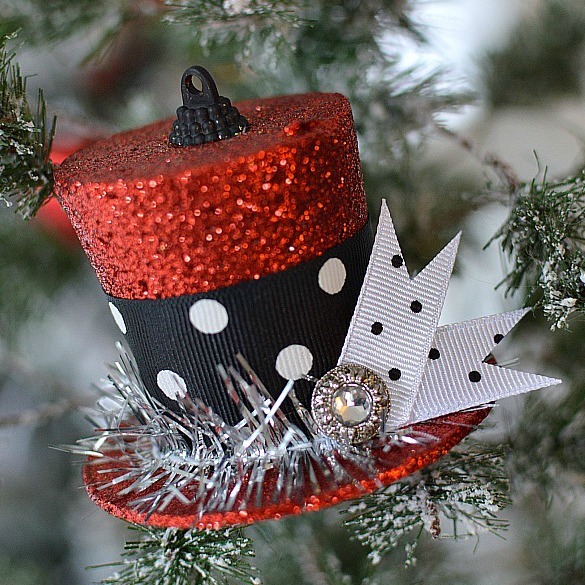 And then… you are all done, and you have a supah-cute Frosty top hat ornament that can be the highlight of your tree, or even a gift topper! 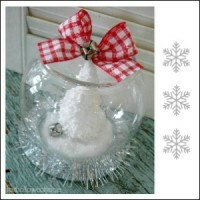 These would be extra cute on a Frosty The Snowman tree. Have you seen them? They are adorable themed trees. 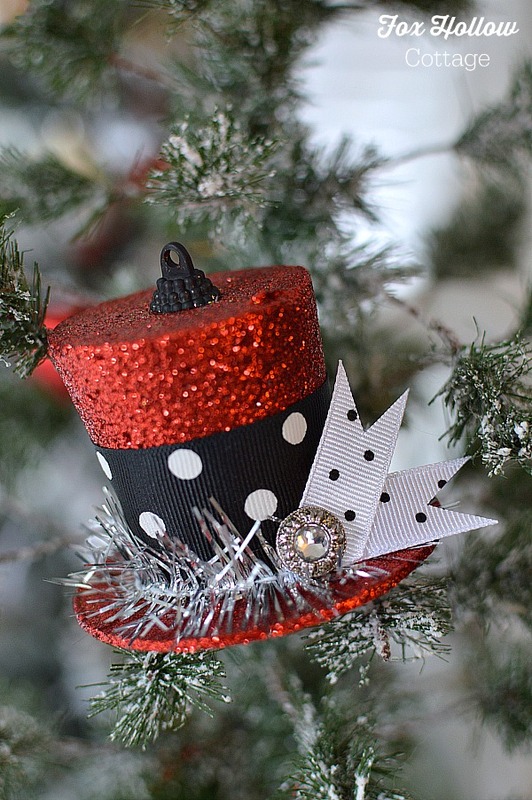 My sister did a flocked one, with a big top hat as the tree topper and it was so, so cute. 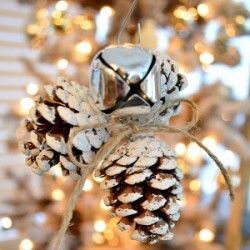 It really put out a strong Christmas vibe at her house! You couldn’t help but love it. I sure wish I was blogging then, so I could share a photo of it. I didn’t even have a cell phone back then. Well, I may have, but it didn’t take pictures that’s for sure. Can you even imagine? 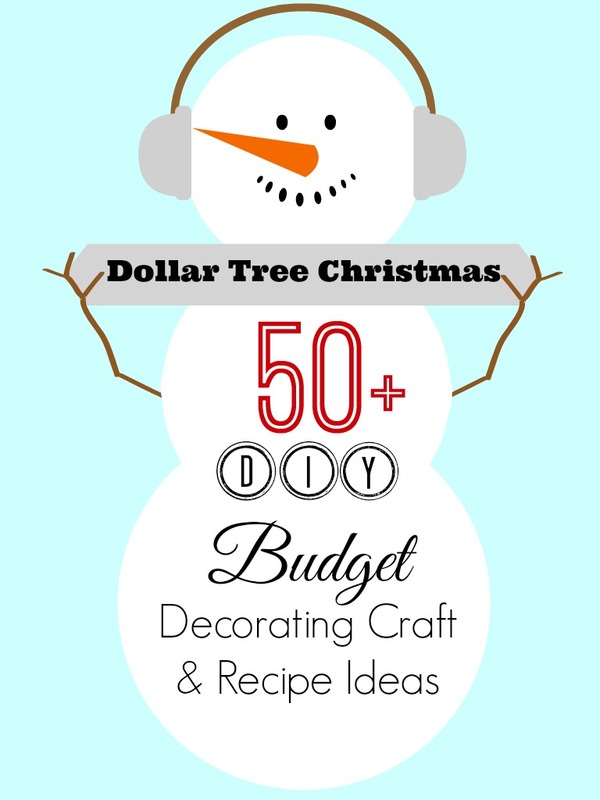 I’m taking some time off to spend with my family through Thanksgiving, but I’ll be back to share bunches of simple, doable, budget and patience friendly craft and decorating ideas afterwards. I’m very excited to share everything I’ve been working on. If I get the chance, I’ll post once beforehand, very quickly to share the secret to getting the juiciest turkey you ever tasted. Now you know I’m not a food blog, so when I say that, I’m serious. Our turkey will squirt you in the eye when you peirce it to start carving. And yes, even the white meat. I won’t go so far as to say “in the history of ever”… and I’m not knocking your turkey, but it’s pretty damn good. Oh, and PS! 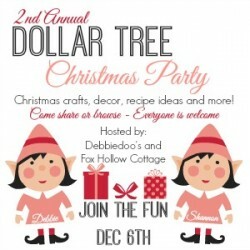 Miss Debbiedoo’s and I are excited to announce we’ll be holding our 3rd Dollar Tree Christmas Party! This is a great resource for finding cheapity-cheap ideas for the holiday and for sharing your ideas with others. 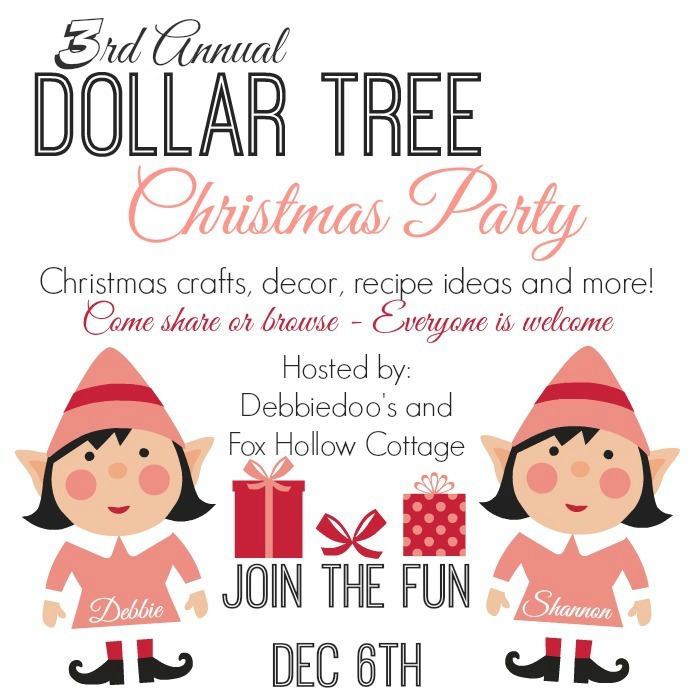 PLUS, we’ll both be giving away a $50.00 Dollar Tree gift card again as well, one on Debbiedoo’s blog and one here at Fox Hollow Cottage. 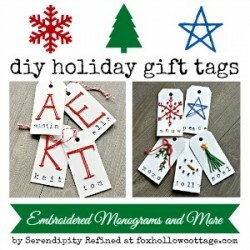 We hope this will help a reader out with stocking stuffers, decorations or whatever! 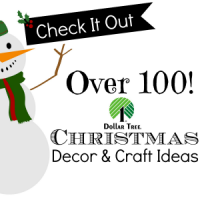 Click HERE or on the snowman below to see lots of great ideas from parties past! You sassed and classed those top hats right up. I love them! super cute! Hope you have a wonderful thanksgiving! It is much cuter now 🙂 Love the color combo rather than the traditional red and green! So fun to put our personal spin on things right 🙂 ? Thanks Dawn!! How cute! I have a Dollar Tree right next to my new school, and I am in there at least once a week–I’m going to look for these. Hope they have a good selection for you!! The hats are spool cute! Thanks for sharing. Have a wonderful Thanksgiving!! Hi Shannon! Oh, these little Frosty hats are adorable! What a cute job you did on them. I wish you and your family a blessed Thanksgiving.